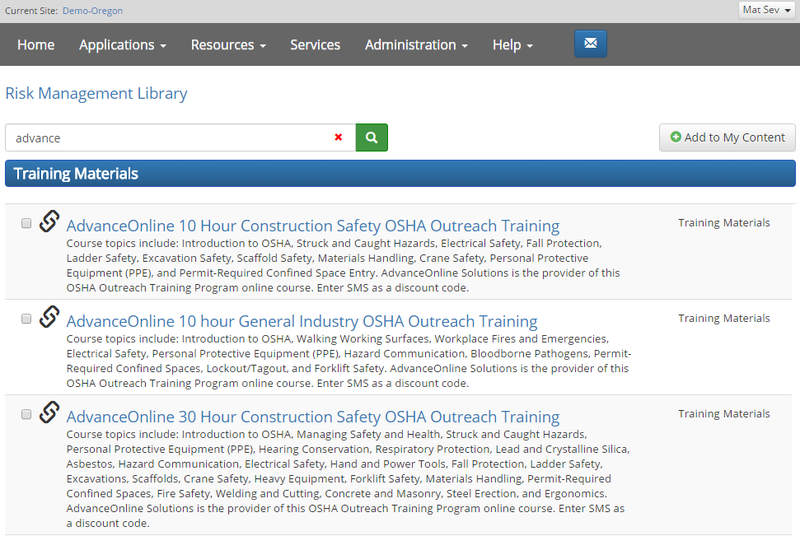 The AdvanceOnline OSHA 10 and 30 Safety Outreach Trainings are provided by a third party training site. It is easiest to locate this training by searching Risk Management Center. 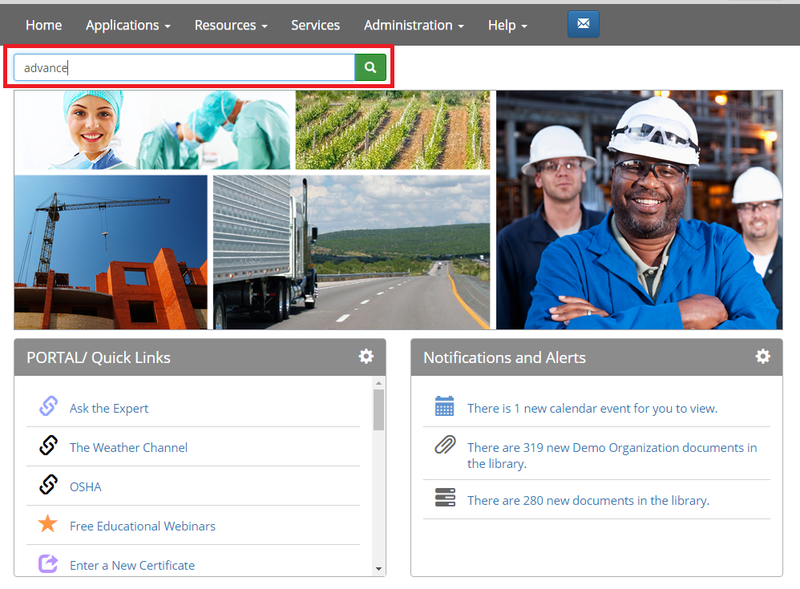 From the Home Page, type Advance, into the search field, and press the icon. Click on the title of the training you wish to take. You can also can add it to My Content by placing a checkbox next to the training name, and clicking Add to My Content. Upon checkout from within the AdvanceOnline website, enter SMS to apply a discount.